Given the tragic youth suicide crisis in Attawapiskat this spring, and the constant cycle of media reports about the abject poverty on reserves, you’d think that tracking poverty in those communities would be a no-brainer for the Canadian government. Turns out, not so much. Did you know that Statistics Canada does not calculate poverty rates for reserves or in the territories? It’s not that the data doesn’t exist (it does, every five years after a census), it’s just that those areas of Canada are excluded by definition—meaning that the government excludes reserves and territories data because it chooses to. Historically, there has been a frustrating lack of data when it comes to Indigenous poverty in Canada. How can the government (or anyone, for that matter) measure the scope of a situation and expect to solve it without proper evidence? In CCPA’s recent study, Shameful Neglect: Indigenous Child Poverty in Canada, Dan Wilson and I address this omission. We find shockingly high levels of child poverty on reserves of 60% (up from 56% in 2006). ?And that’s “merely” the national average:? 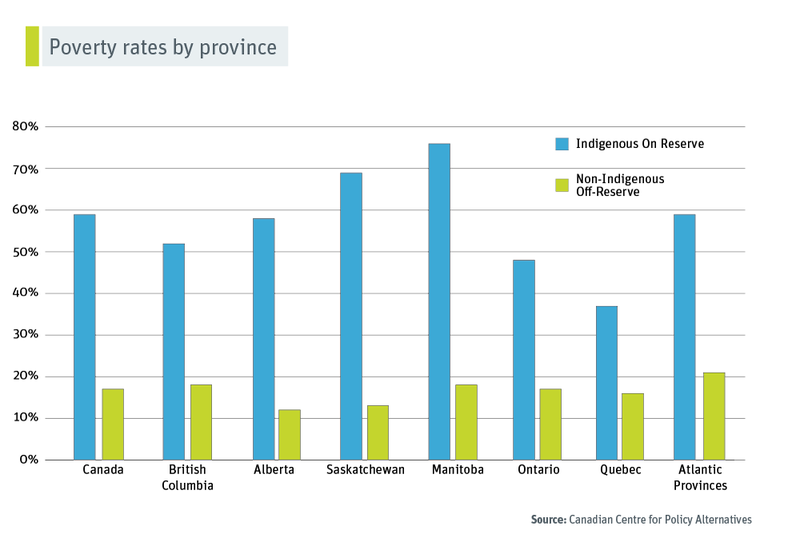 the child poverty for status First Nation children on reserves in Manitoba is 76%, and 69% in Saskatchewan. The solution isn’t to simply relocate First Nations to cities (where, incidentally, poverty rates are still quite high—roughly 40% in Winnipeg, Regina and Saskatoon). 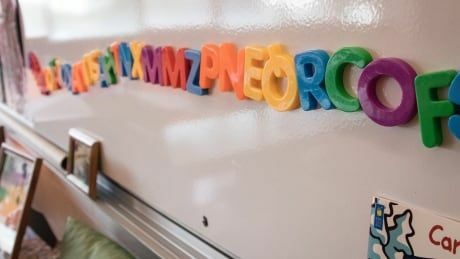 The Eeyou Itschee (James Bay Cree) in remote northern Quebec have a child poverty rate of 23% which, while not as good as the non-Indigenous rate in Quebec at 16%, is slightly less than the province’s off-reserve Indigenous rate. The Inuit child poverty rate in Quebec is 18%, just above the 16% non-Indigenous rate in that province.? Half the Inuit in Quebec are Nunavik (Inuit), also from remote northern Quebec. This isn’t an accident.? Both groups have benefited substantially from the resource revenue sharing agreement signed with the province over the Hydro Quebec dams built in the area in the 1970s.? Revenue from these agreements seems to have, to some degree, offset the chronic federal underfunding of reserves and helped to lower child poverty rates. Contrast this to the situation in Attaswapiskat just across Hudson Bay in Ontario, a province with on-reserve child poverty of 48%.? Attaswapiskat has an impact benefit agreement with the nearby diamond mine, which does not share resource revenues, but rather attempts to increase employment. The most severely impoverished tier contains status First Nations children where one out of every two children lives in poverty (although it’s worse on-reserve). In the middle tier are non-status First Nations, Inuit and Métis children, as well as other marginalized groups like immigrant and visible minority (racialized) children.? Here the poverty rates range from 22% to 32%. ?In the final tier (which is also the largest) are non-Indigenous, non-immigrant, non-racialized children, where the child poverty rate is 13%—much lower than the Canadian average including all children of 18%.? And even given their relatively privileged position, the poverty rate for these children is basically at the OECD average, but about 2.5 times higher than child poverty rates found in the Nordic countries. So what can we do to improve this deplorable situation? Facilitate longer term solutions: allowing bands direct access to resource revenues, adequately funding basic services and treating First Nations like partners and not wards of the state will help address the deeper roots of Indigenous child poverty in Canada. Time and again, Canadian governments have made promises, apologies and vows to Indigenous people. But words alone don’t change colonial attitudes and practices. It’s time for meaningful policy changes, backed up by concerted, culturally-sensitive efforts to collect and analyze an evidence base that reflects the life in Indigenous communities. David Macdonald is a senior economist with the Canadian Centre for Policy Alternatives, and the co-author of?Shameful Neglect: Indigenous Child Poverty in Canada. Follow him on Twitter?@DavidMacCdn.
? 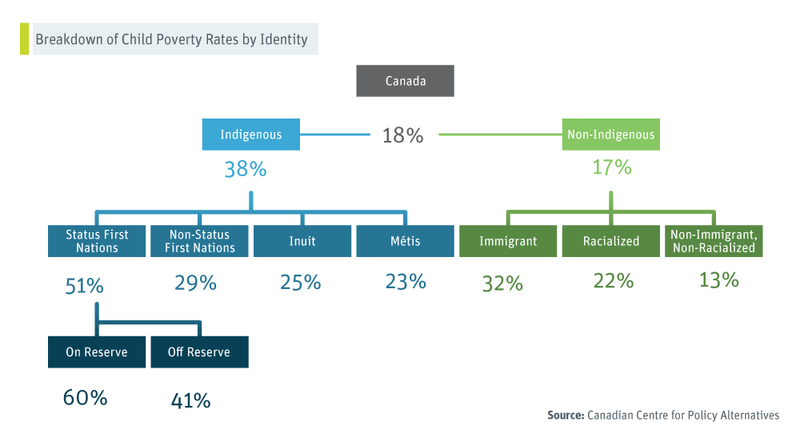 What if First Nations (and their poverty) were counted?